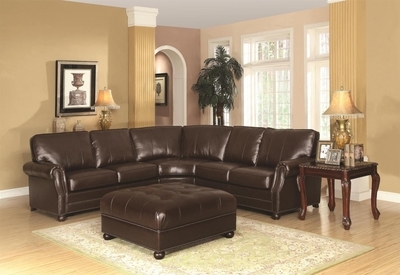 Add this sectional to your living room or den. 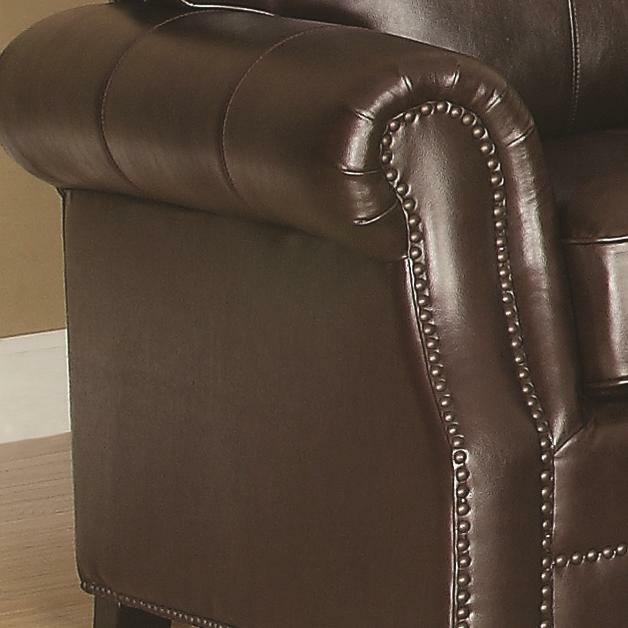 This piece seats around five or six people, and is upholstered in a dark brown bonded leather match, so you'll get the leather look and feel at a lower price! This piece is made with a sinuous spring base, webbed back construction and feather/down blend seating, giving you a quality and long-lasting place to relax with your family. 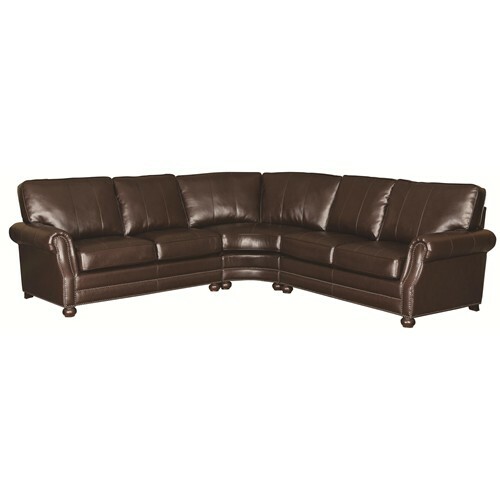 This sectional also includes beautiful aesthetic features such as rolled arms with nail head trim, wood bun feet, and welt cords on the back and seat cushions. Whether you're relaxing after a long day's work or you're entertaining for a large party, this sectional is sure to please.